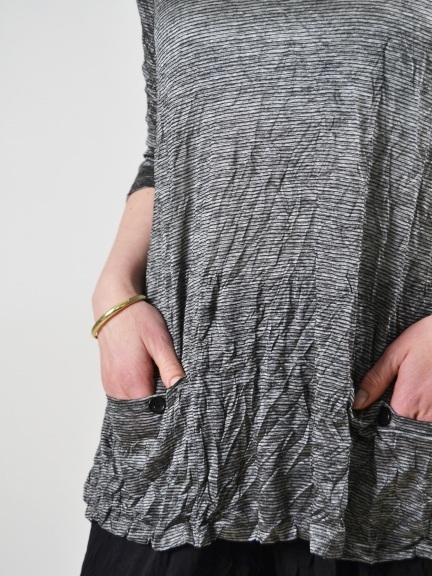 A lightweight, crinkled translucent knit top has fine black stripes in a metallic silver. 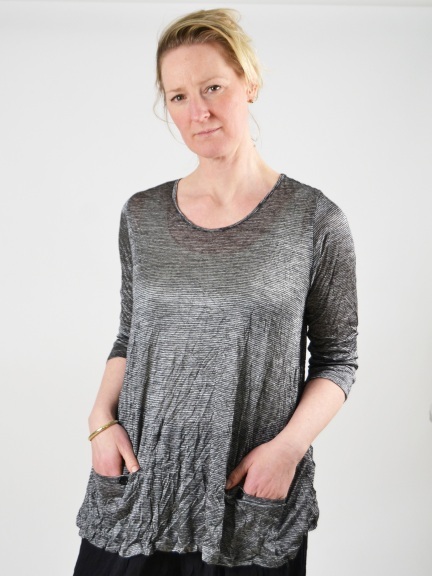 Flared silhouette, small patch pockets with button closures and slightly cropped sleeves. Made in the U.S.A. of polyester/rayon blend.